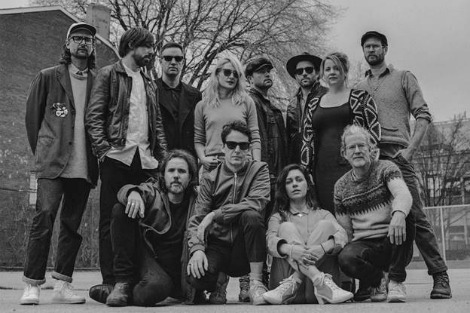 Toronto’s Broken Social Scene recently detailed their first album in seven years, Hug Of Thunder, out July 7 on their label Arts & Crafts. Produced by Joe Chiccarelli and mixed by Shawn Everett, Hug Of Thunder includes contributions from all fifteen original members of Broken Social Scene (see full list below), as well as new guest vocalist Ariel Engle. Today, we get to hear the title track “Hug Of Thunder”, while follows the release of the song “Halfway Home,” the song the band performed to rapturous response on The Late Show with Stephen Colbert at the end of March.